Frank Doyle, professor of chemical, and of electrical and computer engineering, examines a model of PTSD in humans. With the last piece of funding secured for its planned bioengineering building, UC Santa Barbara has moved one step closer to seeing the state-of-the-art research facility become a reality. The shovel-ready $74.3 million project is anticipated to break ground this summer. The UC Regents originally approved the project in July 2010; however, due to the downturn in the economy, the state was not able to provide its portion of the project funding. As the state’s financial picture improved in this past year, UCSB Chancellor Henry T. Yang reinvigorated efforts to seek state support for the project and was instrumental in securing a $26.5 million funding commitment. At three stories tall and with 48,000 assignable square feet of space, the new facility will be a hotbed of biomedical and bioengineering research, housing both the campus’s Institute for Collaborative Biotechnologies (ICB) and its Center for BioEngineering (CBE). Current plans include 15 faculty offices and several conference rooms as well as an auditorium and classroom and laboratory space for up to 110 postdocs and graduate student researchers. “Hubs, such as the laboratories in this building, truly enable the multidisciplinary interactions that are the hallmark of UCSB’s research,” said Frank Doyle, UCSB associate dean of research and director of the ICB. 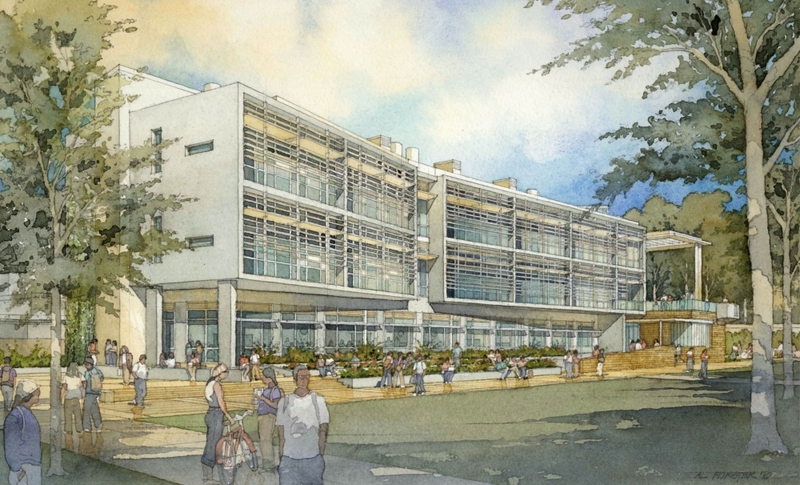 The new multipurpose research facility will be located a stone’s throw from the southeast corner of the UCSB Library. The new building is the solution to an old problem: how to consolidate the bioengineering research that has already been taking place on the campus over the last decade or so. “The need was always there,” said Samir Mitragotri, UCSB professor of chemical engineering and founding director of the CBE. In Doyle’s lab, for instance, cross-disciplinary collaborations on- and off campus have resulted in the creation of an artificial pancreas that can deliver the optimal dosage of insulin to diabetes patients without constant blood glucose testing. In Mitragotri’s lab, nanoparticles have been developed to selectively deliver chemotherapy to tumors with minimal impact to healthy tissue. Meanwhile, other researchers on campus continue to take engineering perspectives on biological problems, leading to critical advancements in areas such as traumatic brain injury and sepsis protocols. In fact, 2007 rankings by the Chronicle of Higher Education placed UCSB No. 2 in the nation — behind only Duke University — for biomedical engineering research impact, even without a centralized academic program or physical location. Funding for the construction of the multipurpose research facility comes from the state ($26.5 million) and from Garamendi bonds ($47.8 million), a type of revenue bond that allows UCSB to pledge the overhead revenue from faculty research in the building to pay its debt. Locking in the funds for the building, which has already been approved for construction, comes at just the right time for the university. 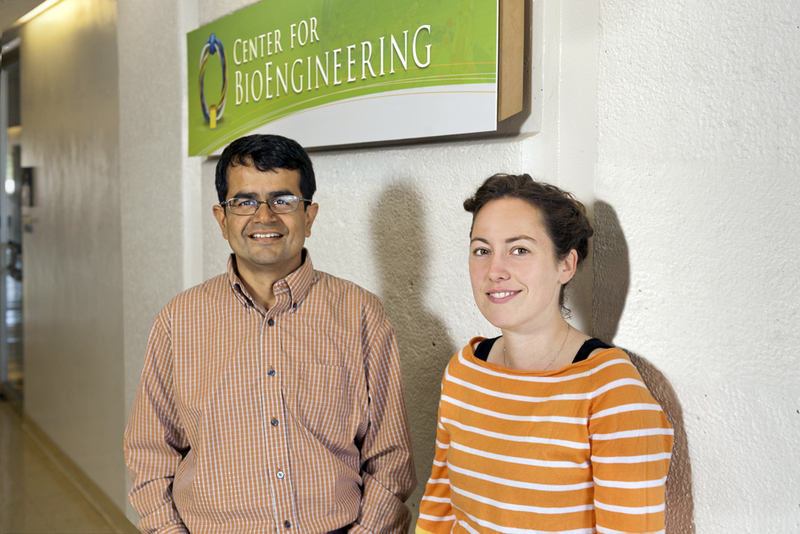 Bioengineering is a rapidly growing discipline across the country and around the world. Undergraduate majors and Ph.D. programs in bioengineering are among the most popular in the United States, and employment prospects are promising. According to the U.S. Department of Labor’s Bureau of Labor Statistics, the 2010-2020 outlook estimates a 62 percent job growth in the field, much higher than average. The building would not only enable the kind of collaborations and synergies that lead to breakthroughs and discoveries inspired by both biology and engineering but also provide a vantage point from which UCSB can enhance its own bioengineering academic offerings. 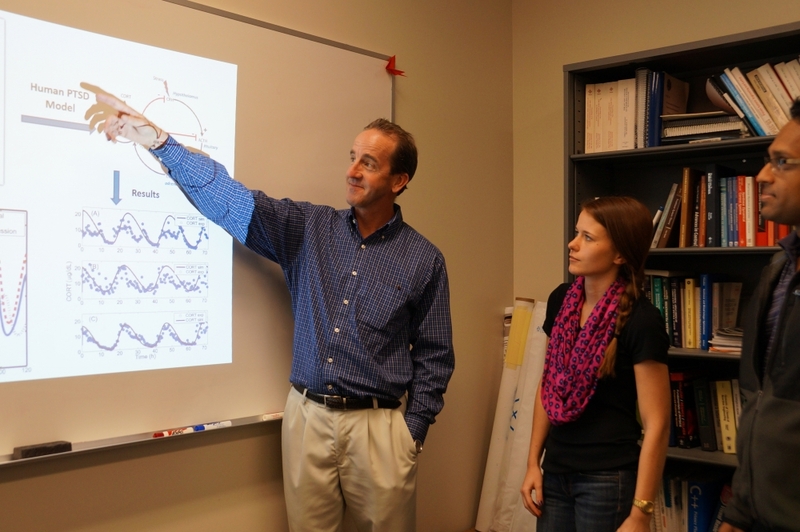 Currently the university offers a bioengineering undergraduate concentration through the College of Creative Studies and a Ph.D. emphasis through several departments on campus; the new physical hub for research will make it possible to offer an undergraduate major and an independent Ph.D. program with new faculty selected for their expertise in bioengineering.